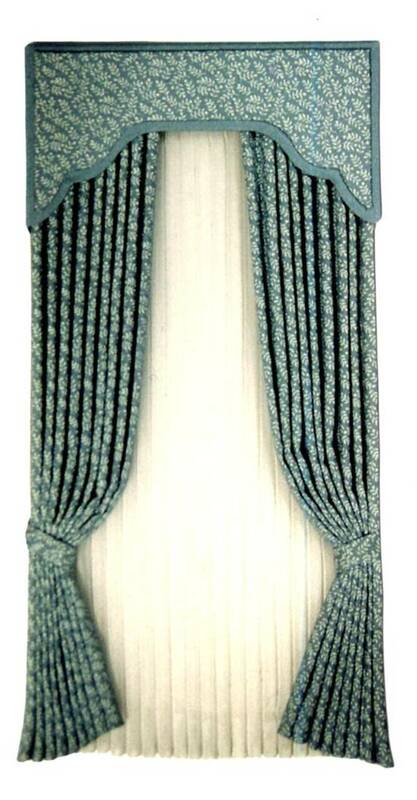 What is the secret to creating beautiful curtains and draperies? It's the Pretty Pleat Pleater! d. Anne developed this tool in 1983, and since then it has become a staple item for miniaturists and doll artists everywhere. With the Pretty Pleat Pleater, you can pleat fabrics in a variety of ways for curtains, draperies, dust ruffles, doll clothes and..... much more! This versatile and durable pleater is heat molded from natural rubber and thus is not affected by the heat of an iron or steam, used in the pleating process. The pleater can be kept clean by occasional washing with soap and water. The pleating process is simple. 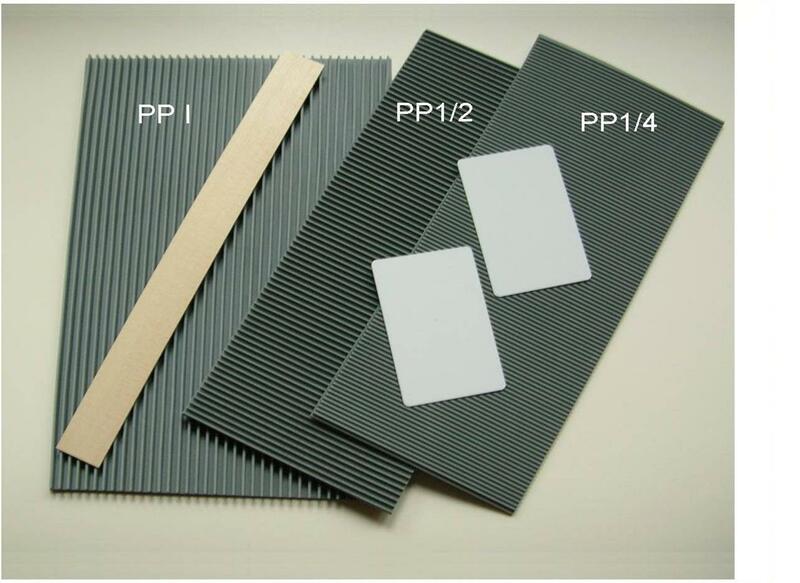 Fabric is pressed into the grooves with rigid plastic cards and/or the wood slat included with the pleater. The resulting pleats are then held in place by heat, steam, liquid spray starch or a fusible backing. There are no fabric restrictions for use in the pleaters. What ever works is fine! However, natural fabrics like 100% cotton or silk work best, Polyester or nylon tends to be quite "springy", but poly/cotton blends work well. Smaller scale projects require fabric that is as thin and finely woven as possible. Prints should be tiny and colors more subdued to appear in proper scale. Sheer fabrics may be chosen from bridal or curtain departments of fabric shops. Ribbons and laces may be successfully pleated if they are not too thick or bulky. Test your fabric and practice the pleating technique before beginning a project.